This statistic shows the most commonly practiced plastic surgeries in France as of 2013 by ranking. 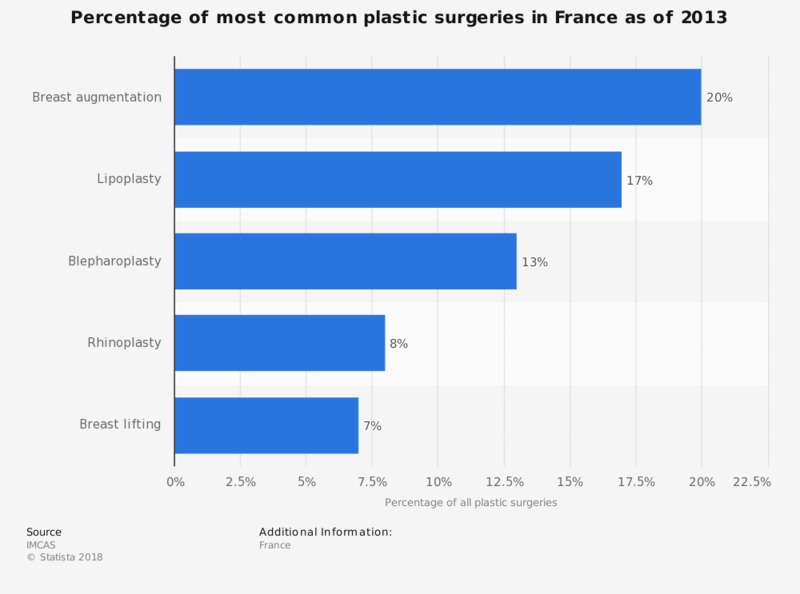 Lipoplasty was among the most common plastic surgeries in France responsible for around 17 percent of all plastic surgeries. Most of the world including the United States, Latin America, and Asia-Pacific regions are expected to maintain growth in the cosmetic surgical and aesthetic medical market.